In addition to chatting to one of the gentle giants from The Predator, Den of Geek’s set report also included a lot of other great information about The Predator. They had the chance to watch the cast between shots, watch scenes being shot and talk to the cast about the time on the film. 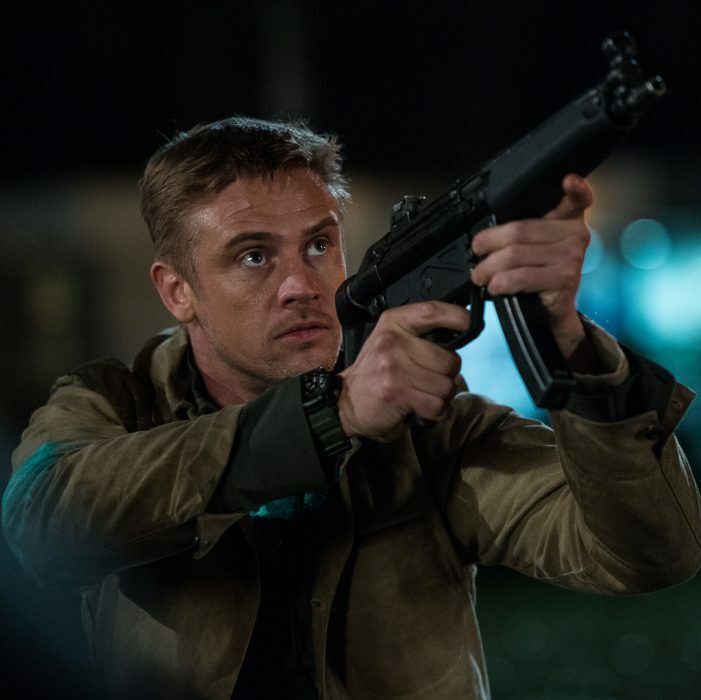 Boyd Holbrook, the film’s leading man, had plenty of praise to heap onto Shane Black and his focus on the new set of characters who are going up against the latest Predators. It’s Black’s focus on the characters and their relationships, Holbrook says, that will separate The Predator from other expensive blockbusters. 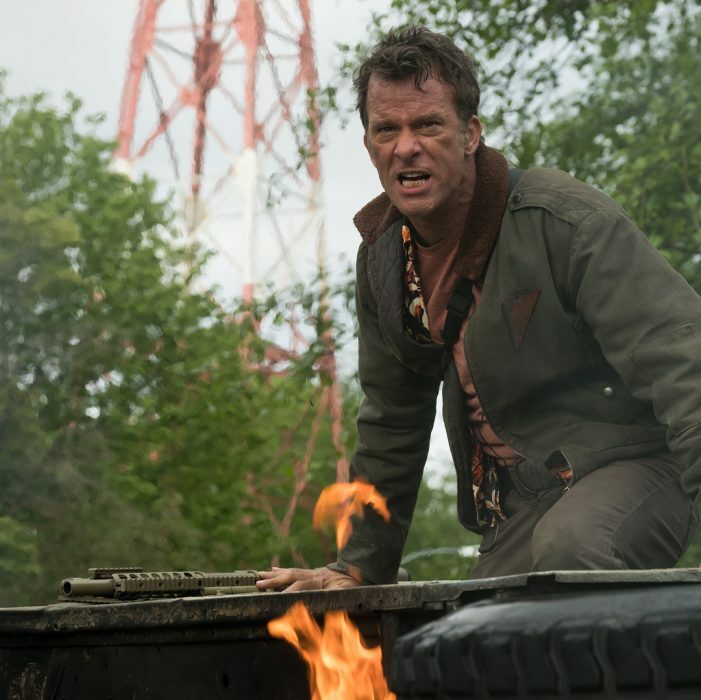 Fellow cast member Thomas Jane, who plays Baxley, also took the chance to enthuse to Den of Geek about Shane Black’s take on The Predator. Den of Geek also had the opportunity to talk Predator effects veterans Alec Gillis and Tom Woodruff Jr about The Predator’s character design, the mix of practical and digital effects and how important it was to fans to see a real Predator on the set. There are little clues here and there, however, that not all the creature effects in The Predator will be practical. Later in the day, we see a sequence where a Predator goes flying backwards through a window – likely the same school window we saw Holbrook slammed up against in an earlier scene. It’s a small yet near looking stunt: we see the shot from a low, three-quarter angle as the Predator crashes through the wooden window frame. Once the camera operators have caught the take, a crew member rushes in with those mirrored ball things that visual effects use to add CG elements to the sequence in post-production. First a mirrored ball is lowered in front of the camera, then a matt one, then a third one textured after the Predator’s skin: that pale, mottled grey with an amphibious, sticky sheen. Finally a prop arm is lowered into view; it’s unmistakably a Predator arm, but huge even by the alien hunter’s standards. Could it be that The Predator of the title isn’t a guy in a suit like the others, but a much bigger one brought to life with CGI? The occasional mention of a “10-foot mutha” certainly suggests that he will be. This latest set report from Den of Geek is full to the brim with some really interesting insights and comments about the work that went into The Predator. This includes plenty of comments from the cast and details on their characters, and some very specific scene details. Head on over to Den of Geek to check out the full report! No Actors Cast in The Predator Just Yet!